Remember how I said this week’s tutorials were super easy? 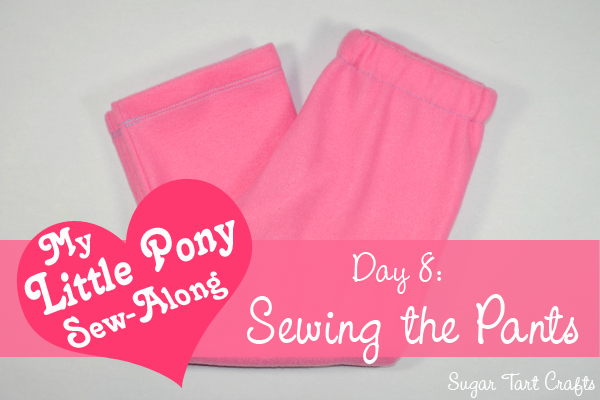 Well, today I’m going to show you how to whip up a pair of pants using only three seams. Just three. What could be easier than that? Answer: I’m going to show you two different ways to do it! 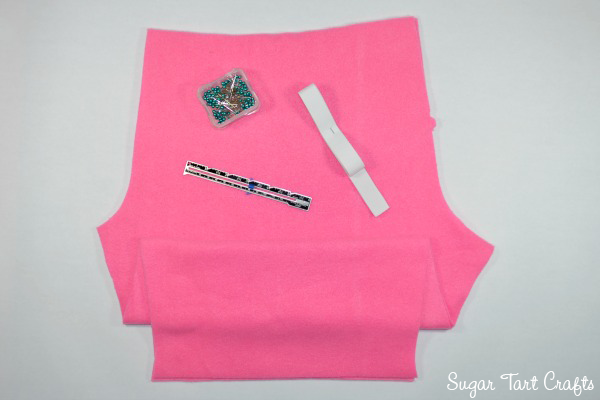 Below are the two most common methods used to sew a basic pair of pants. Simply choose whichever version you are more comfortable with and get started. 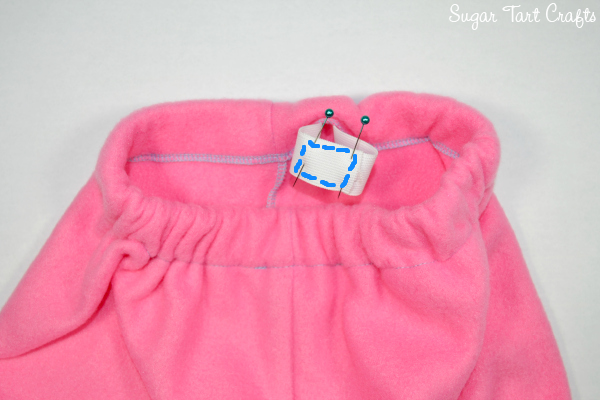 Once you’ve got the steps down, you’ll be stitching up new pajama pants in under 15 minutes per pair! added when making the pattern. I prefer to use 3/4″ or wider to help prevent twisting. Lay both pant legs on top of each other with the right sides together. Stitch along the front crotch length, and then the back crotch length. Now fold the pants in the opposite direction, bringing the crotch seams together in the center. Stitch one continuous line from the hem of one leg, up to the crotch, and down the other leg. That’s it! 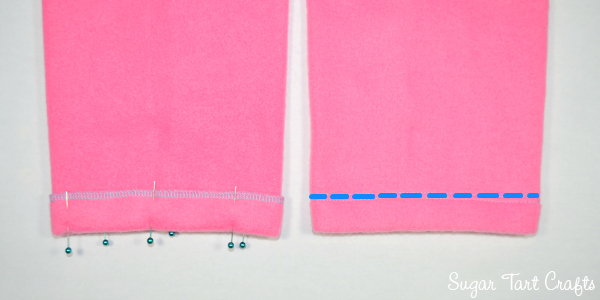 Skip ahead a few steps for the hem and waistband. Fold each pant leg in half lengthwise with right sides together. 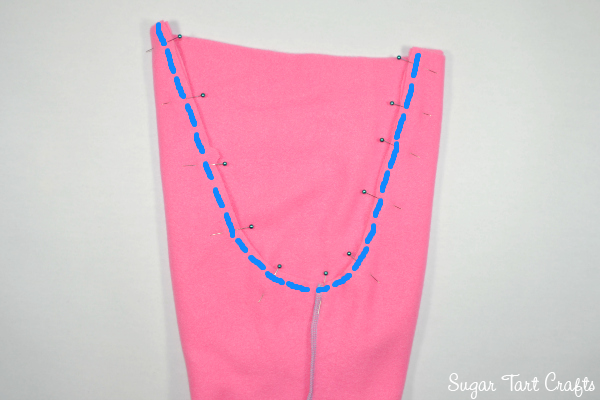 Make sure you have both a left and a right leg, and then stitch the inseam for each. Now this is the part where most people get mixed up, so please read the next steps carefully! 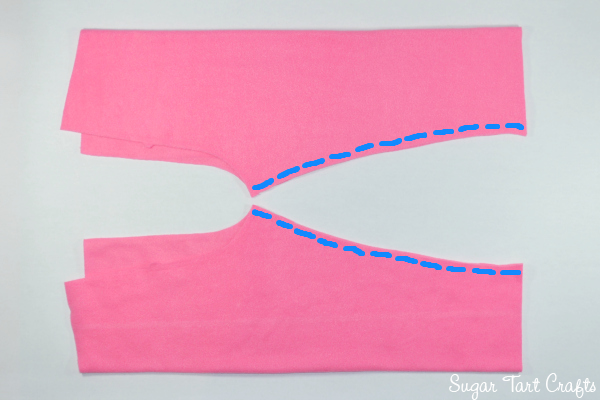 Slide the right side out leg down into the inside out leg so that the right sides of the fabric are touching. 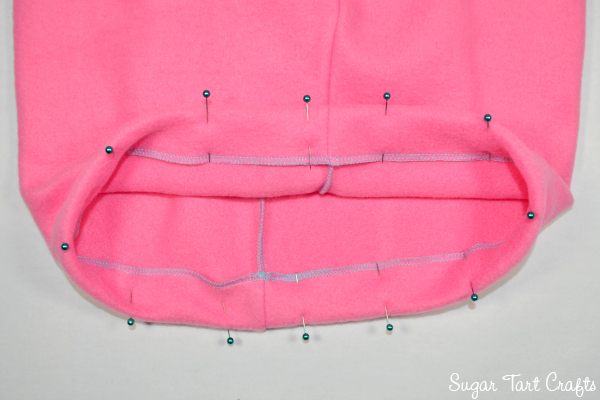 Match up the inseams and stitch along the entire crotch length to form a U shaped seam. Pull the legs apart and turn them right side out. Ta-da, pants! 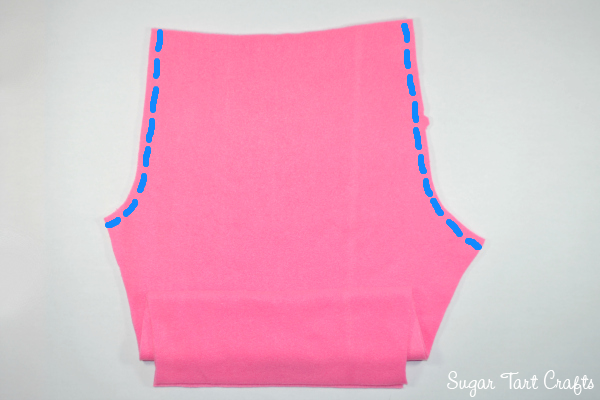 Fold the hems under to the inside and stitch them in place. Do the same with the waist to form the elastic casing, leaving a small opening to slide the elastic through. Thread your elastic through the casing and overlap the ends. Stitch the layered elastic together, and close the gap. is which when it comes to homemade clothing. (or so I’m told.) A tiny folded piece of ribbon works perfectly for that. Try this tip to help keep your elastic from twisting. Just for fun, check the seams of your favorite pants to see which way they are constructed. but I feel like most bloggers I follow tend to go with Option A. Loved your tutorial. I can wait to read days 9 thru 12!!! Thanks so much! They should be up soon!